← Krotos Simple Monsters Flash Sale! 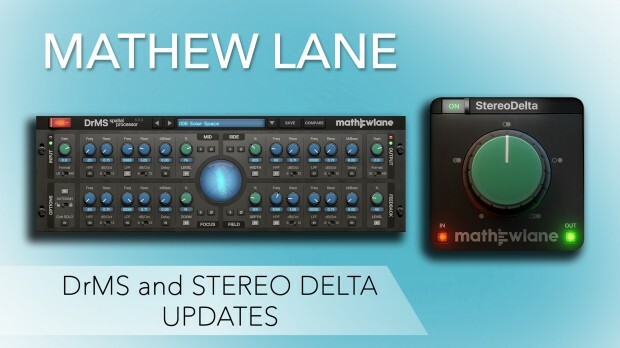 Mathew Lane has released updates for DrMS (v5.1.0) and StereoDelta (v2.1.0). With both products establishing a well deserved name for themselves in today’s mastering industry, their new feature ability to run as mono-to-stereo plug-in instances in AAX and AudioUnit hosts creates an even more indispensable tool for your productions. DrMS and StereoDelta now feature the ability to run as mono-to-stereo plug-in instances in AAX and AudioUnit hosts. Perfect for easy mono-to-stereo upmixing. This entry was posted in DontCrack, Plug-ins and tagged DrMs, M/S, Mathew Lane, Spacialization, Stereo Field, StereoDelta, upmixing. Bookmark the permalink.